This collection contains 182 of Emily Brontë’s extant poems, 21 of which were published in the 1846 book of poems written by Charlotte, Emily, and Anne Brontë—Poems by Currer, Ellis, and Acton Bell—the names referring to their respective pseudonyms (this 1846 collection of poems is available from Project Gutenberg). The editor, Gezari, seems to have performed more than satisfactory and painstaking scholarship in putting together this collection. 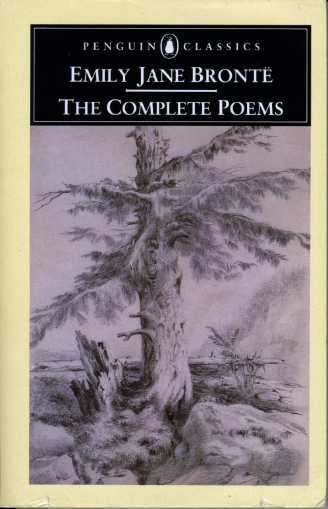 In the introduction, Gezari presents a brief historical survey of Emily Brontë’s poems, and details the choices and decisions which she made regarding the copy-text she used for the poems in this collection, the ordering, the amalgamation of fragments, titles, spelling, capitalization, and punctuation. The book also includes extensive notes at the back. Because relevant dates for most of the poems are included, it is possible to study how Brontë’s poetry changed with age. Emily Brontë died in 1848 at a young age of 30; Anne died in 1849 at the age of 29. Charlotte was the last of the siblings to die, in 1855 at the age of 38. In the notes section, it is said that Charlotte only discovered Emily’s poems ‘one day, in the autumn of 1845,’ which implies that Emily kept her poems a secret, at least from Charlotte. It was also interesting to learn that Charlotte edited seventeen of Emily’s poems to accompany a new edition of Wuthering Heights in 1850. Indeed, when I compared the version of ‘No coward soul is mine’ printed in my copy of the 1943 Oxford Book of English Verse (another book that waved to me) to that in this new collection, which includes both Emily’s and Charlotte’s versions, I found that Charlotte’s changes persisted. Now, although I am not indifferent to poetry—I have actually tried to educate myself on the subject—I am hardly qualified to pass literary judgement on a poem. However, I do not demand much, and it is enough that a poem gets to me and makes me feel and makes me think and sings to me and stays. If I have to rely on professional literary criticism for this judgement, then I am hopeless. I therefore proclaim, after perusing this collection, that Emily Brontë is a genius. Love the review! Since finishing Wuthering Heights I keep promising myself that I’ll pick up a copy of her poems. Hi BC, thanks for dropping by. I’m enjoying the Brontës right now. I’ve just finished listening to the audio books of Jane Eyre and Wuthering Heights while driving … cheating a bit … but I’ve thoroughly enjoyed Juliet Stevenson’s renditions in the recordings. 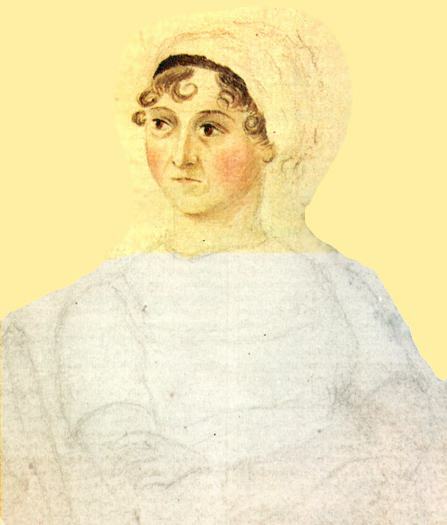 It’s such a pity that all these talented 19th C. women writers died so young…and Jane too. How I wish they could have left us with more literary treasures. Thanks for an informative post! Hi Arti. How I agree with your sentiments—they all died so young, and one could not help but seek out more of their work once one has been discovered. For me, their work become all the more incredible when I consider that a lot of their education came from self-study and not from formal institutions, i.e. they read a lot. As to listening instead of reading, your comment set me to thinking: I realized that many of these classic novels were meant to be read out loud to somebody else. Didn’t Jane’s father regularly read out loud to his family? This being the intent, I rather think that it would be a pleasure to listen to these novels as well, something that I am keen to try in the near future. there are many used books sale in our area and i frequently visit them to buy some .